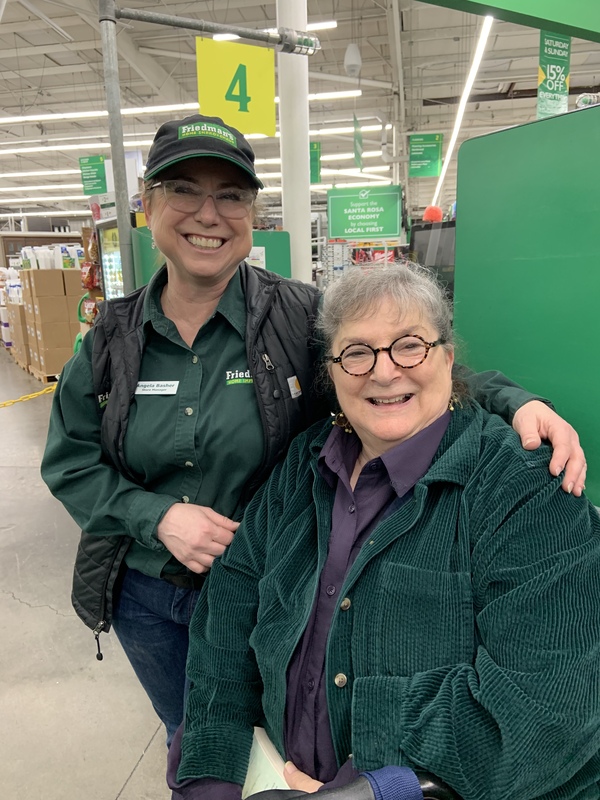 Several of our backyard projects came one step closer to reality today, as Mama and I gathered all of the supplies needed at Friedman’s Home Improvement, where she recently won a gift card! Normally we don’t shop during weekends (if we can help it), but they were having a big sale and we love a bargain. The staff at Friedman’s are so knowledgeable and helpful, and we love how they employ smart, skilled women. With sweet Paisley as our sidekick, we met every dog lover in the store, including the manager. Angela was incredibly kind and went out of her way to assist us. We found everything on our list and I’ve now got three exciting backyard projects ready for assembly! Today’s #OneGoodThing was a trip to Friedman’s with Mama to spend our winnings! Many thanks to everyone at Friedman’s Home Improvement in Santa Rosa and to Dena Clover-Vargas of Keller Williams Realty for the $100 gift card! What was your #OneGoodThing today? Please share in the comments! Day 96 of 365. And Day 1,192 in a row (here’s the first 366, & the following 365, & the third year of 365 good things)!